LOS ANGELES (Legal Newsline) – On Dec. 27, the California 2nd District Court of Appeals, Division 4 weighed in on a case stemming from damages awarded to an actor who sued General Nutrition Centers Inc. over allegedly using his likeness and image long after it was allowed. Jason Olive, who is known for his roles in Tyler Perry’s For Better or Worse, as well as a modeling career that includes work for Ralph Lauren, Versace, Armani, Calvin Klein and GQ magazine, sued GNC in the Superior Court of Los Angeles County. He accused the notable health brand of using his likeness after his agreed-upon advertising campaign came to an end. A jury awarded him $213,000 in actual damages and $910,000 in emotional-distress damages. While GNC confessed it used Olive’s likeness, violating Civil Code section 3344, it had an issue with the amount Olive was awarded. The lower court denied Olive's and GNC’s motions for prevailing party attorney fees and costs. Both Olive and GNC filed appeals, but the appeals court affirmed the lower court’s decision for the judgment and the denial of attorney fees. Olive said the lower court should have excluded his expert witnesses, who testified concerning the amount of GNC’s profits it received from using his likeness without his permission. Olive added that the lower court erred when it ruled he was not the prevailing party when it came to awarding statutory attorney fees. 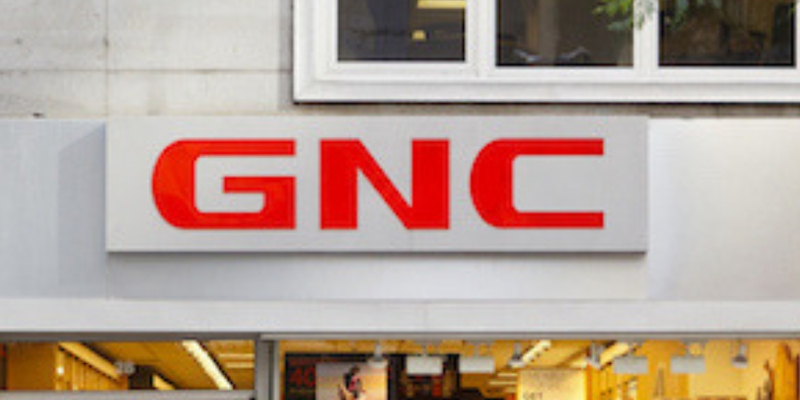 As for GNC, it cross-appealed and claims it should have won. Counter to Olive’s allegations, the appeals court said the trial court did correctly deny his request for special jury instruction: He had asked the trial court to add CACI No. 1821 in the instructions and proposed that he had to prove the amount of gross revenue and GNC had to prove the amount of expenses. While the appeals court did not have an issue with this, it did have one with the amended instruction Olive proposed that would require GNC to prove the amount of revenue that could be related to other factors, not the use of his likeness. The appeals court affirmed this denial and said, “The statutory language of section 3344 is unambiguous – the plaintiff bears the burden of presenting proof of the gross revenue attributable to defendant’s unauthorized use of the plaintiff’s likeness, and the defendant must then prove its deductible expenses.” When it came to Olive’s proposal, the appeals court said it had a complete disregard for the statute. The appeals court also agreed it was best to exclude Olive’s expert witnesses from the case. One of the witnesses used incorrect methodology in calculating the opinion that 1 to 3 percent of GNC’s revenue should be credited to using Olive’s likeness without his permission. But the witness compared the royalty agreements to those of other celebrities that have worked with GNC such as Paris Hilton, Michael Jordan and Tyra Banks, and the appeals court held that there was no indication Olive was at the same celebrity status of those used in the witness’s sample. A second witness, whose testimony was also excluded, hoped to quantify Olive’s damages and provide enough evidence to prove GNC intentionally used Olive’s image without authorization. That witness, however, confessed he didn’t use his own calculations and didn’t know how the previous witness actually chose the sample he used. Concerning the prevailing-party argument, the appeals court made it clear that the lower court correctly determined there was not any prevailing party. As for Olive, he requested $1.5 million in actual damages and $2 million for his emotional distress and more. Still, he only received $213,000 for actual damages and $910,000 for emotional disstress. So this would not necessarily make him the prevailing party, because he did not get all he asked for. GNC also technically lost because it claimed Olive shouldn’t get more than $4,800 in actual damages when in reality he collected over $1.1 million. “Given that the mixed results in this case did not amount to a lopsided verdict in Olive’s favor, the trial court did not abuse its discretion in determining that neither party prevailed for purposes of awarding attorney fees under section 3344,” the appeals court said as it affirmed the lower court’s ruling. Judge Gary Micon authored the opinion as judges Thomas L. Willhite and Nora Margaret Manella concurred.